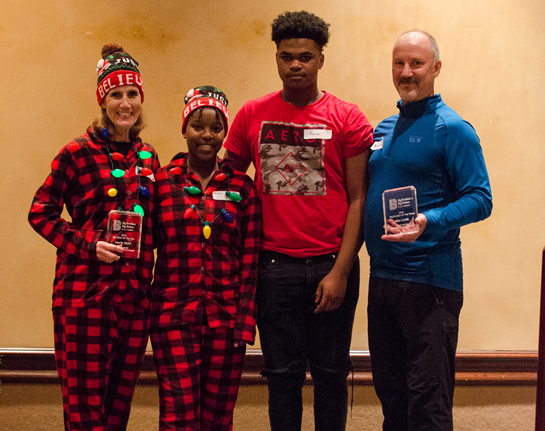 KNOXVILLE, TN – (February 12, 2019) — In celebration of National Mentoring Month, Big Brothers Big Sisters of East Tennessee has named its Mentors of the Year. Big Brother Mike Lewis and Big Sister Laurie Stone were honored for their impact at a private event in December. Laurie Stone and Maria were matched in October of 2012. The two consider each other family, and regularly go out to eat and to movies together. Laurie supports Maria’s extracurricular activities, and regularly provides Maria a ride from volleyball and cheer practice. The impact of a mentor in Maria’s life is evident: Maria’s grades have improved and she recently received several awards at school. She is more confident in herself, and she is even planning her future after high school. Mike Lewis and his Little Brother Aaron met in January 2015. The pair enjoys spending time at sporting events and going out to eat. When Aaron moved to a new home last year, Mike helped his family move in and even performed repairs. The two place a strong emphasis on school performance, decision-making, respect for others, honesty, accountability, and potential—and the results are evident.  Big Brothers Big Sisters of East Tennessee names its Bigs of the Year at a private event each December and announces honorees each January in honor of National Mentoring Month. Launched in 2002 by The National Mentoring Partnership and the Harvard T.H. Chan School of Public Health, National Mentoring Month focuses national attention on the need for mentors, as well as how each of us—individuals, businesses, government agencies, schools, faith communities and nonprofits—can work together to increase the number of mentors to help ensure positive outcomes for our young people. Learn more at mentoring.org.